When you create a new “brand” for your online business, you should aim to make it easy for people to find you. One way to do that is to align the usernames of your social media accounts to your brand name. 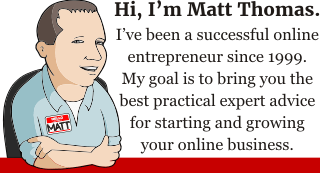 Registering a short, memorable Twitter username (or “handle”) related to the name of your online business is a smart move. So, you wander over to Twitter hoping to grab the username that matches you blog name and… crap. It’s taken. And it doesn’t even look like it’s actively being used. Are you out of luck? Maybe not. In some circumstances, you can still get the username you want. It takes a little work, but the effort to acquire it is a good investment in your brand. If your brand is a registered trademarked and another party is clearly infringing upon it, Twitter will simply transfer the username to you. Just like that. But what if you haven’t gone through the complicated (and expensive) process of trademark registration? Can you still get the username? Oftentimes, yes. 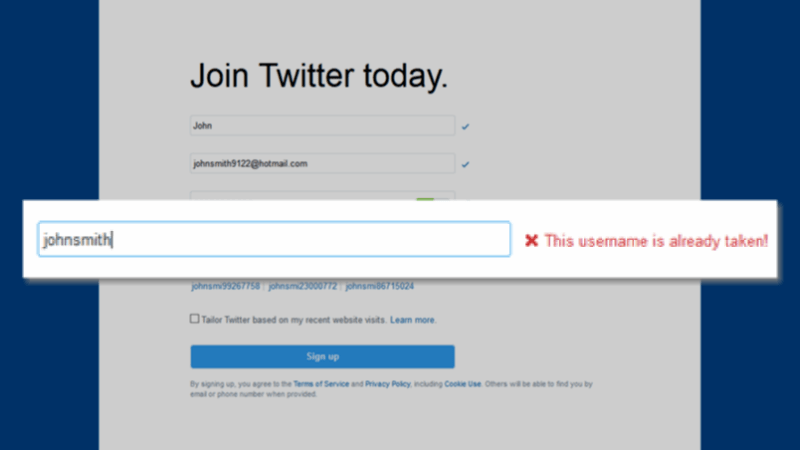 For example, if your desired username was registered in 2009, has just a couple Tweets, and has less than a few followers, Twitter may deem the account “inactive” and essentially abandoned. This type of account is a good candidate for reassignment. Twitter deems accounts that haven’t posted or logged into within the last six months as “inactive.” You will not be able to take control of an “active” account without possessing a registered trademark. Your best chance of success is if the desired account appears to be a ghost town with no activity (and certainly not recent activity). This trick is not going to work if the Twitter handle you want is “@walmartdeals” or something that clearly incorporates a famous trademark. It seems to work best if the username you want is relatively obscure, but that isn’t a problem for most online businesses trying to seek a unique identity – being a little different is certainly a plus! Twitter will look for evidence that you are actively using the brand you’re trying to protect. You won’t be able to use this technique until you’re using the brand in your online business. You may have better success if you’ve developed a Twitter following with another username and are actively using it. For example, if you want “@yourname” then you may want to actively use “@therealyourname” or some other available Twitter username. Then, when you’re ready to make your move to acquire the shorter username, Twitter can transfer your Tweets and subscribers to your new account. One note of caution: this technique will not work to acquire generic Twitter handles. Even if the Twitter handle “@diet” were deemed “inactive,” your blog called Megan’s Diet Tips won’t qualify to take possession of it because it is not related enough to your brand. Your desired username would have to be something like “@megansdiettips” or “@meganstips” to be considered. Before you submit your request, you may also want to confirm that what you’re trying to do is consistent with Twitter’s current trademark policy. Are you ready to start the process? OK, here we go! Go to Twitter’s Report Account page. Fill in the required information on the form, including an e-mail address related to your brand. It’s very important that you use an e-mail address from the domain name of your brand. You also improve your odds substantially if the Twitter username you’re hoping to obtain is the same as your domain name. In the Company Information section, be sure to put in your current Twitter username (NOT the one you’re trying to obtain). 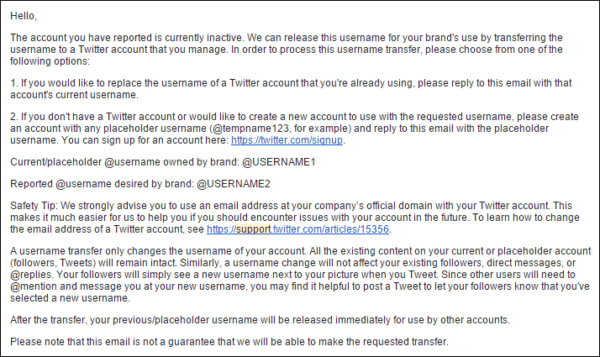 In the Reported Account section, enter the Twitter username you desire that is infringing on your brand. 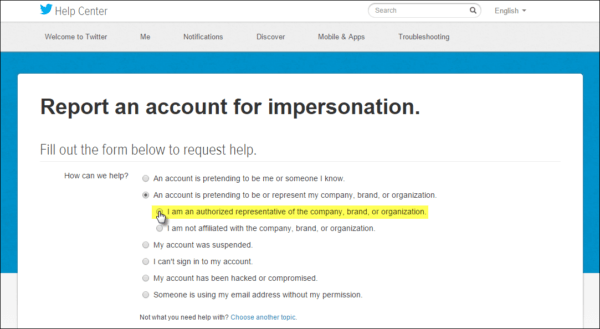 In the Additional Information section, be sure to click on “Our company would like to use this username on Twitter” — otherwise their Twitter username will simply be suspended. After you’ve submitted the form, you may receive a request for further clarification, you can simply reply that the Twitter username infringes upon your brand with their username. Have you had success getting the Twitter username you wanted? Let me know in the comments! 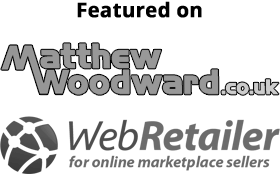 I have an online blog with .com domain. I’m not a company so which one do I choose? What if I’m just in a fandom and want a certain user and the profile hasn’t been used by the person who created it?